All fees are paid online through mtfest.com by this date. $26 per ensemble entry. All fees are nonrefundable. Levels are determined by the average age of the ensemble team. Average age will be rounded to the higher whole number. Ensembles with an average age below 7 or over 18 must play in the festival division. Any piano composition written or arranged for not more than two pianos is acceptable. 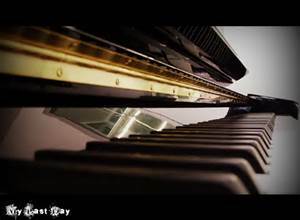 Ensembles may include one piano, four hands; two pianos, four hands; one piano, six hands; or two pianos, eight hands. A movement of a sonatina, suite, etc., counts as one composition. Portions of a piece are not acceptable. For instance, all the variations of a theme and variation should be included. Partners may switch Primo/Secundo positions between compositions. A theme and variations is considered one composition and therefore partners may not switch positions between variations. Any question regarding repertoire will be decided by the Piano Ensemble chairmen. No more than two pieces of literature may be performed that fit the time limit for the appropriate level. ​Students may choose longer works, but playing times may not be exceeded. NVMTA supports the use of published musical scores. If a photocopy must be used, the NVMTA Copyright Release Form, signed by a parent or teacher, must be submitted to the chairman by email or postmarked at least one week prior to the event. Please submit this form also for music purchased or downloaded from the internet. Students using photocopies (or anything resembling a photocopy), either for themselves or the judges without having provided the Copyright Release Form by this deadline, may play for comments but will not be eligible to compete. Partial photocopies may be used to facilitate page turns. Ensembles may enter the Competition division or the Festival division, but not both. Ensembles that play the same composition for more than one year must play a different movement at each year of entry. Previous first place winner ensembles must enter either the next higher competitive level or the Festival division. Individual students may participate in any number of ensemble pairs. Students must be taught lessons in person in Northern Virginia. No requests for special scheduling accepted after April 11. A volunteer page-turner will be available, or ensembles may bring their own. Students must bring 2 judging sheets that I will provide at your lesson before the event. Students must provide one published score with all measures numbered, and which must not bear the student’s or teacher’s name. All participating teachers will be required to judge or provide services based on the number of entrants. Teachers , students and parents!! Please note: must agree to abide by the Rules for Competitive Events. No audio or video recording allowed. All performers receive a certificate of participation and comment sheets. In competitive divisions, first, second, third, and honorable mention ribbons may be awarded. Awards will be announced immediately after the completion of each division.